3 Pots of Varigated Lemon Thyme. 4 Inch Size, Full and Nicely Rooted. 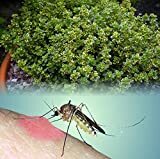 Wonderful for Culinary Use, Teas, and Is Said to Help Keep Away Mosquitoes! 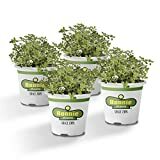 Lemon thyme plants for sale – Easy plant to grow, with edible leaves also some species can grow as ornamental ground cover plants. planting in spring to autumn (in colder climate better in the spring), better to buy plant or another option to start from seeds yet more challenging (but not as annual).